Because you just can't get enough of our pop-culture web series Pop Pilgrims, we've decided to launch a contest around it. You give us some brilliant ideas or stories about your own Pop Pilgrimage, and we'll give three of you some CDs, DVDs, swag, what-have-you. (ARV of what-have-you: $3.) For details on the contest, head over to this microsite, where you'll also find some photos from the shoots and even some hints about where else we'll be going this season. 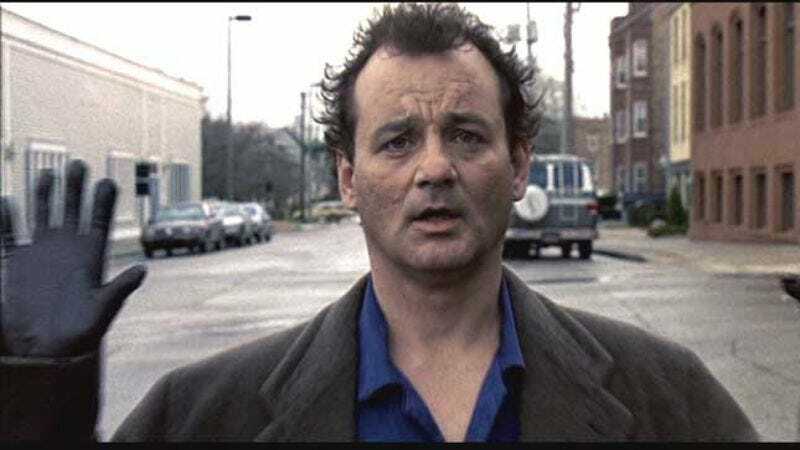 And since you were nice enough to read this far, I'll tell you that tomorrow's episode features Sean O'Neal's visit to Woodstock, Illinois—where Bill Murray got stuck for 33 years, 350 days in Groundhog Day.